You do your best at work and often feel like no one even notices. Well WonderWink Scrubs notices, and they think you're doing a fine job. In fact, they want to give you applause every day. A "Bravo!" that is. Take a bow for a job well done in a WonderWink Scrub ... (see full details) (see specifications) #WWI6016-RED. You do your best at work and often feel like no one even notices. Well WonderWink Scrubs notices, and they think you're doing a fine job. In fact, they want to give you applause every day. A "Bravo!" that is. Take a bow for a job well done in a WonderWink Scrubs Women's Red Bravo Top 6016 RED. V-neck scrub tops give you extra room to move and provide you with a flattering fit. This red uniform top features a "lady" fit v-neck and a length that flatters. With 27 3/4 inches from the shoulder seam to the hem, you won't feel exposed in the back, nor will you feel like you're swimming in your shirt. Like all WonderWink Scrubs, this Bravo top features easy-care fabric. Made of a blend of 65% polyester and 35% cotton, all it takes to care for this shirt a washer and dryer. You won't have to treat these scrubs in any special way. Two lower pockets on thses WonderWink Scrubs give you plenty of room to store lightweight tools of the trade. Stash some tissues for your or a few candies for a sad patient. One of those pockets is a WonderWink signature triple pocket with a hidden mesh pocket (giving you a total of 5 pockets). They layers make it easy to separate the things you carry. A signature ID bungee loop on the pocket lets you keep your identification handy. And an invisible 3-part accessory loop lets you anchor your other necessary items. There's no reason you have to wear scrubs that blend in with the walls. Stand out and take credit for a job well done in this WonderWink Scrubs Women's Red Bravo Top 6016 RED. Great cut and shape, well thought out pocket's, love the little I.D. badge loop! Very comfortable as well as excellent weight of the fabric. 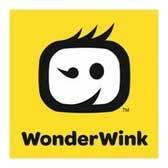 Have purchased about a dozen WonderWink scrubs and would rate them 10 stars if only I could! Great product! Great price! No way you'll be disappointed with any of the WonderWink products! WonderWink Scrubs: Women's Red Bravo V-Neck Cotton Blend Scrub Top 6016 RED is being added to your cart.